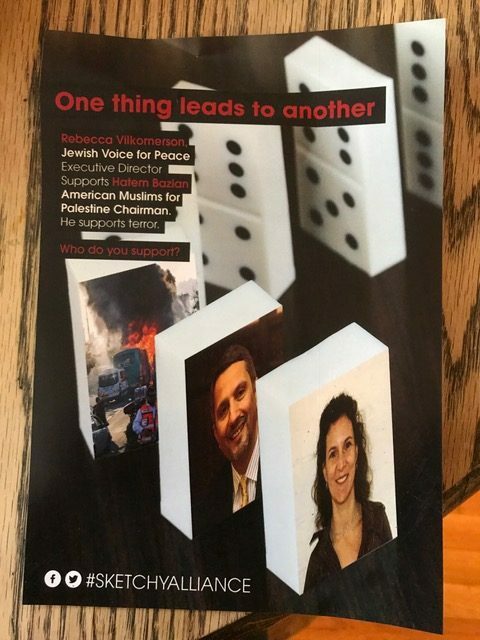 Jewish Voice for Peace (JVP) and American Muslims for Palestine (AMP) strongly condemn flyers targeting our organizations and specifically Hatem Bazian and Rebecca Vilkomerson personally. We are particularly concerned that the distribution of these flyers specifically targeted the neighborhoods and specific blocks where they live. 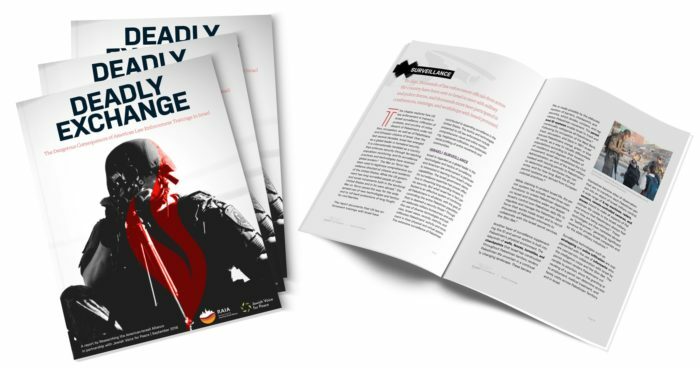 These reprehensible tactics–of attempted intimidation and guilt by association– are indicative of the depths to which the anonymous organizations and/or individuals who distributed them will sink in order to attack our growing movement. JVP and AMP are proud to affirm our ongoing partnership on behalf of freedom and equality for Palestinian people. Our two organizations represent a hopeful future horizon for Jewish-Muslim partnerships grounded in social justice, deeper understanding and opposition to all forms of racism. We know that this attack is but the latest in a long history of Islamophobic conspiracy theories that attempt to link Islam with terrorism. We greatly appreciate the support we have received in the aftermath of this attack and it has only redoubled our commitment to continue our work together toward freedom and justice.